DAVID LE/Staff photo. 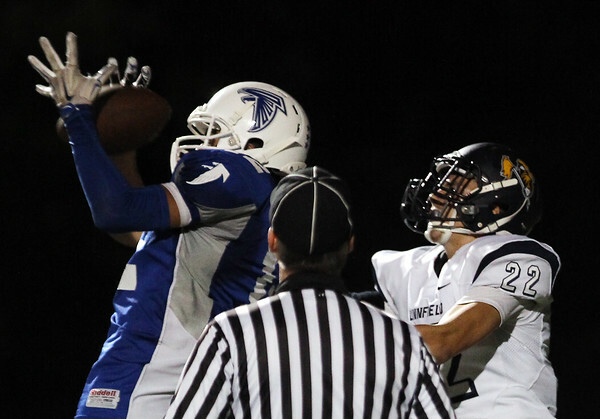 Danvers senior wide receiver Mike Nestor (12) leaps up to grab a hail mary touchdown pass in front of Lynnfield's Alex Gildea (22). 9/19/15.